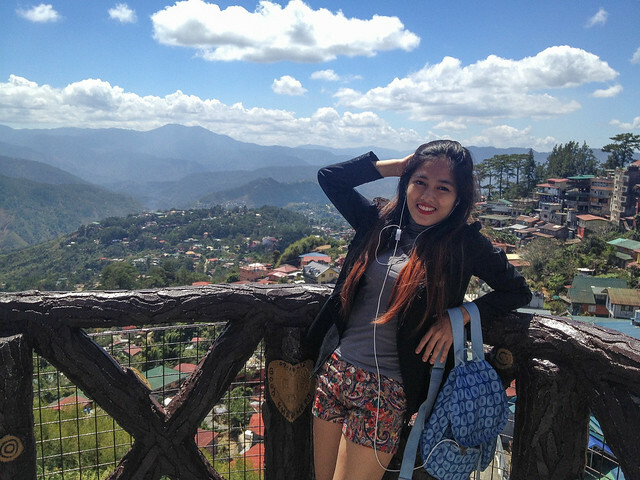 I've been coming to Baguio ever since I was 2 years old for the summers. I thought that I had seen it all, and that the only new thing that I would get to appreciate is the Strawberry Taho and Strawberry Ice Cream that everyone's been crazy about lately. Turns out I am very sorely MISTAKEN. So come with me, and let me take you to my journey of seeing Baguio in a New Light. When going to Baguio, you would need a place to check in for the cold nights. A place where you can snuggle. 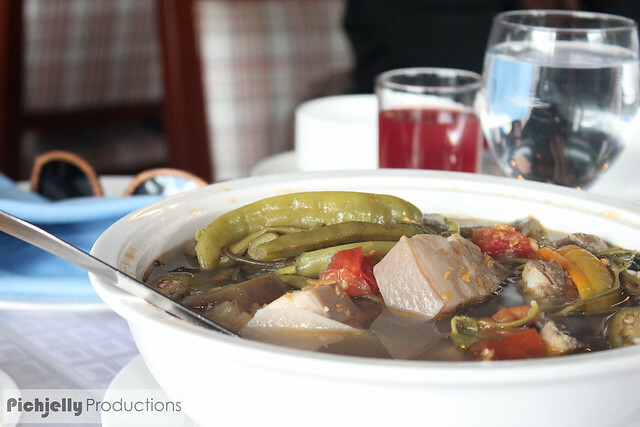 Or keep warm under the covers in the cool mountain breeze that Baguio brings. A place you can call not just your room, but your holiday haven, your Home, if you will. 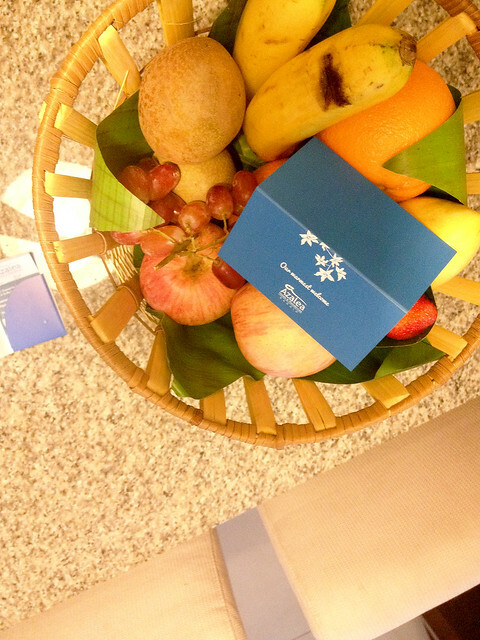 Azalea Hotels and Residences gave us just that, and more. Located in Leonard Wood Loop, (a few minutes walk away from Teacher's Camp), location is great as it is quite near your usual city hotspots for checking out new restaurants along the area, and even clubbing and what not. 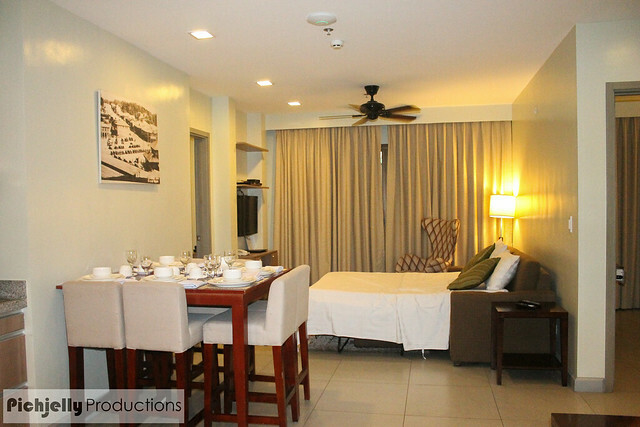 Having a 4 star rating for being the first serviced apartment- hotel in Baguio City, Azalea Baguio your next holiday haven. 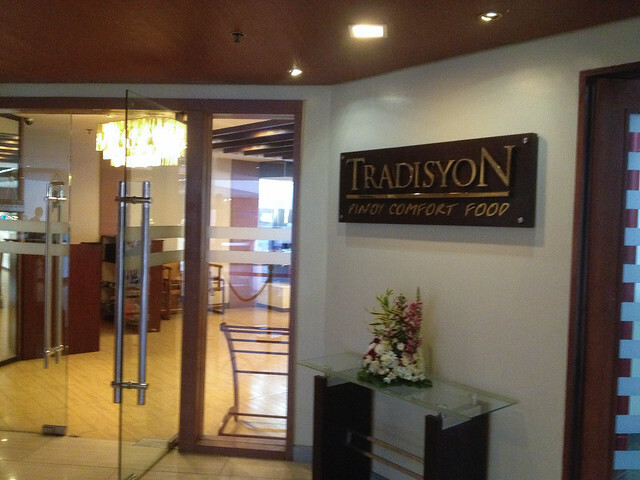 We were welcomed with a very hearty lunch from their in house restaurant, Tradisyon, and they stay true to the motto of Pinoy Comfort Food. 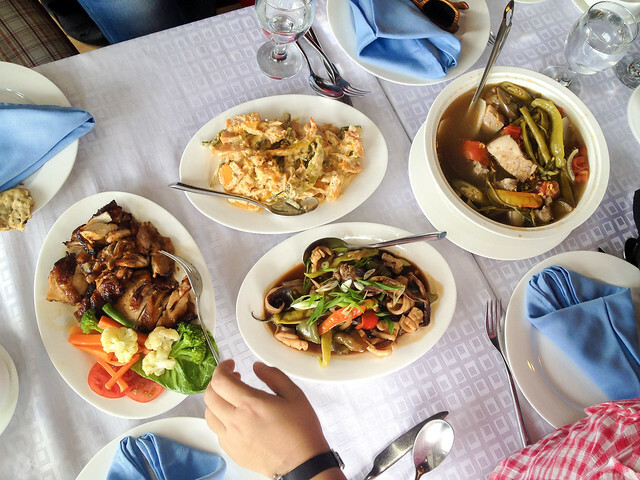 We were served Ginataang Kalabasa and Okra, Stir fried Squid, Chiken Inasal, Pork Sinigang and the pahabol na Kare Kare. 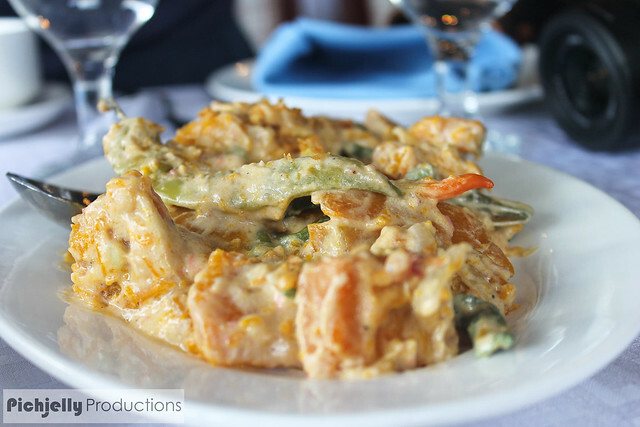 I say pahabol to the Karekare because it was given to us after everything else is already served. Thus I wasn't able to get you guys an awesome food shot like the other dishes cause I was already eating at that point. 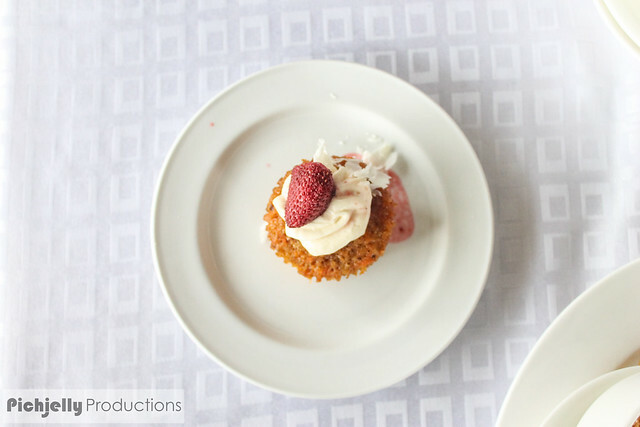 Dessert is presented to us in the form of a really decadent Carrot Cup Cake with walnuts and a strawberry and cream cheese topping. They offer buffet breakfast, lunch, and dinner. 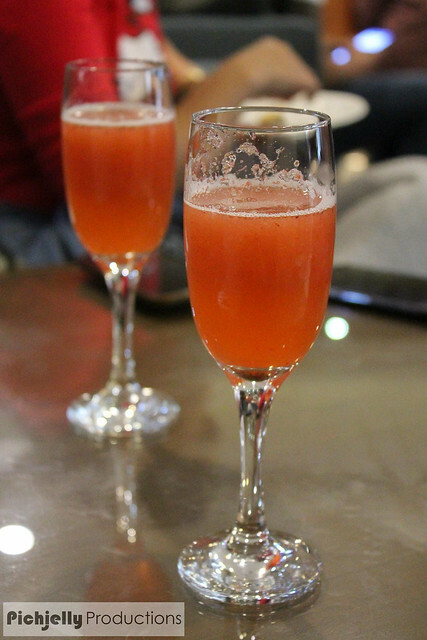 But if you want a quick drink or maybe 3, 8 Degrees Lounge is an easy access to your cocktail fix. The place is called 8 Degrees by the way in remembrance to the lowest temperature ever recorded in Baguio City, which coincidentally is 8°. 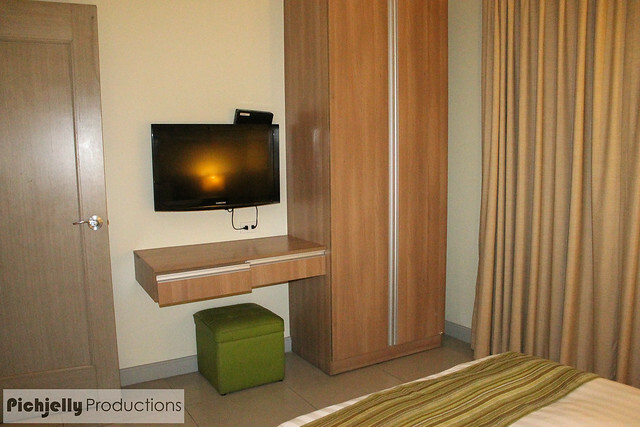 This is how a 2-bedroom suite looks like... This is the sofa bed, one door to the left of the photo is a room and my room is to the right door in the photo. Above and below are photos from our two bedroom suite when we stayed in Azalea. If the two bedroom suite is spacious enough for 8 people from my point of view, I imagine all rooms in Azalea to be really big and worth it for the price. It feels much like a more affordable version of the Manor in Camp John Hay to be honest. After that we were presented to our rooms. 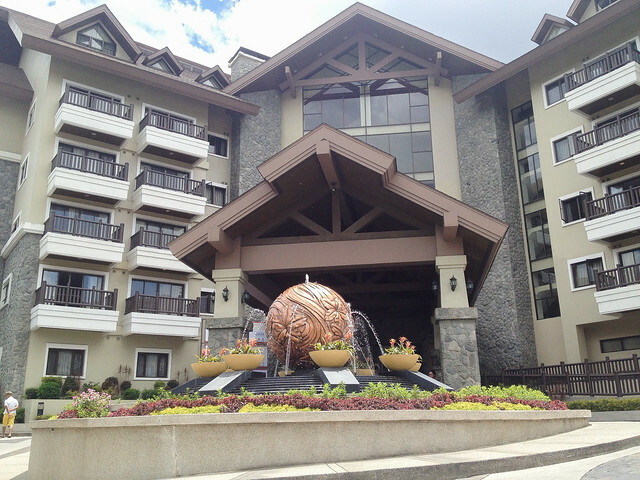 Azalea Residences Baguio is inspired by a ski resort lodge. Below are their published rates, but if you go and book earlier, like at least a month before, you can get up to 50% discounts. The link to get 50% off is below the rates. 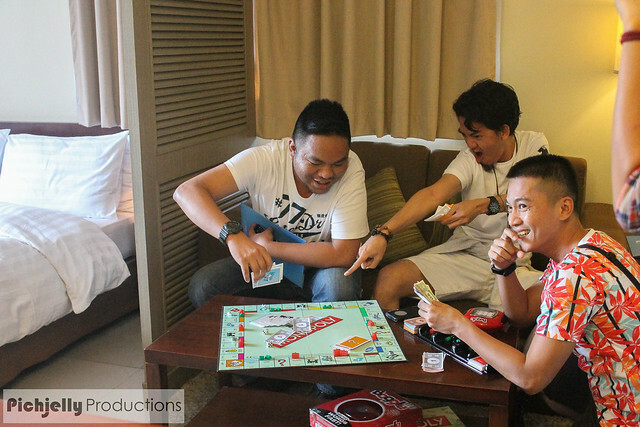 Azalea is designed for Family Fun, Group Getaway vacations, hence the fully furnished rooms with kitchen and living room facilities. Yeah guys, you can cook rice or whatever dish you fancy if you don't feel like eating out, or if you're a mom on a budget, cause they have working stoves, rice cookers and complete kitchen and dining utensils! Cooking something up with the family is a great bonding experience! Our room is a 2 bedroom suite with a back view balcony (can accommodate up to 6 adults), and we were only 4 in the room hence the big space and room for privacy. Most of their rooms have the same comfy ambiance, and can accommodate a lot of people, depending on the size of the room you got. I really love hotels that adorn white/cream walls by the way as it gives the illusion of more space and it makes me feel at peace. :). 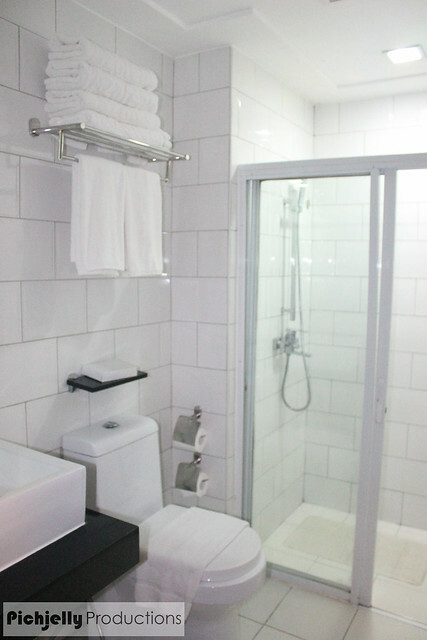 The lavish bathroom is not to be missed! It really surpassed my standards for being a great and awesome bathroom. 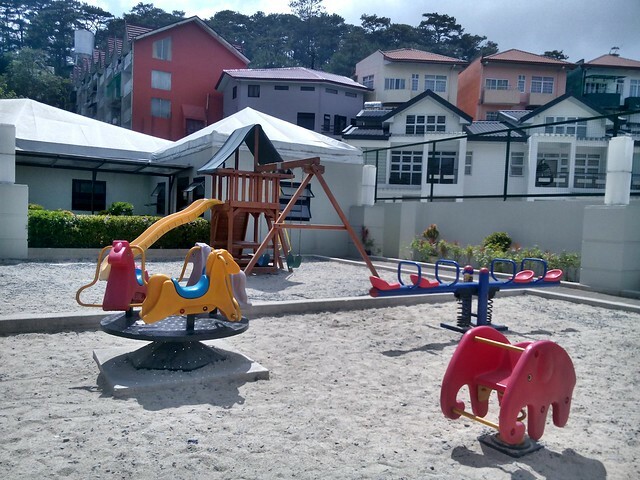 Azalea Hotels and Residences Baguio also has a number of spacious function halls and meeting rooms for your events, valet parking and car hire service, as well as a lavish garden and a cute, spacious playground for your kids and kids at heart to enjoy! 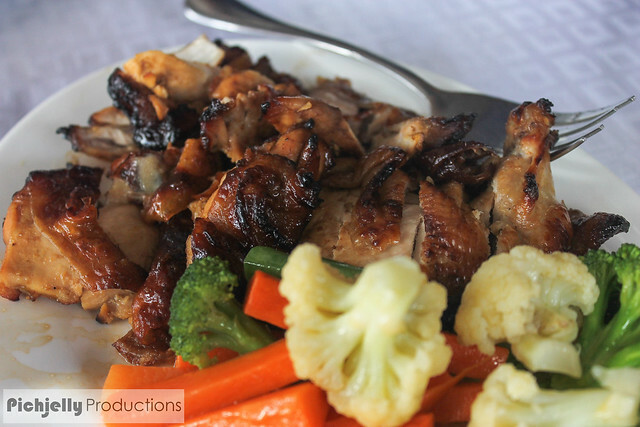 Azalea Hotels and Residences also offers tours around another side of Baguio. While we all usually know about Burnham Park, Wright Park or Camp John Hay, there is more to this city than the said tourist spots. Check out their website below to see their latest deals. 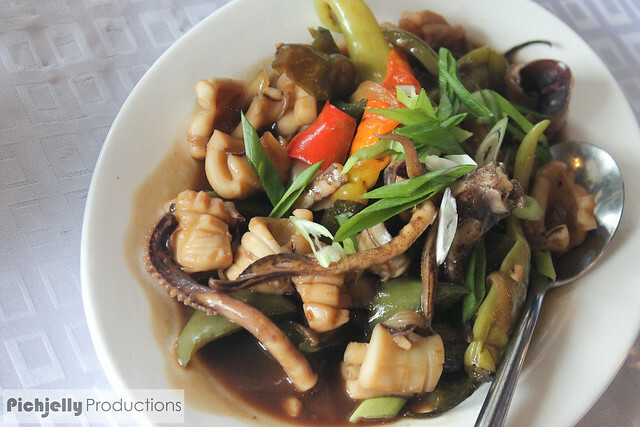 It is quite refreshing and that alone makes it perfect for a Family Fun Weekend Getaway, or even just a great barkada group getaway bonding experience. 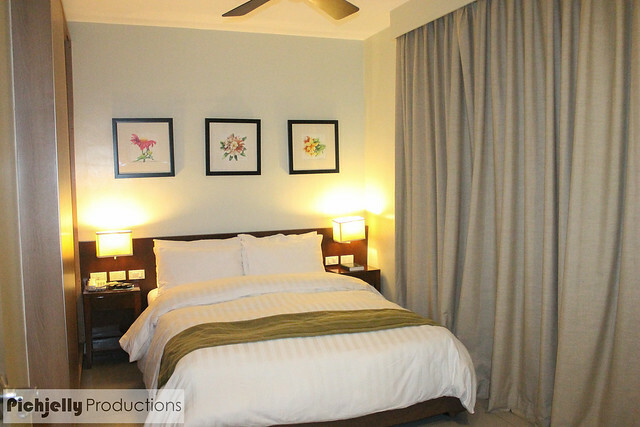 For more information on Azalea Hotels and Residences, you can check out their Facebook and website. 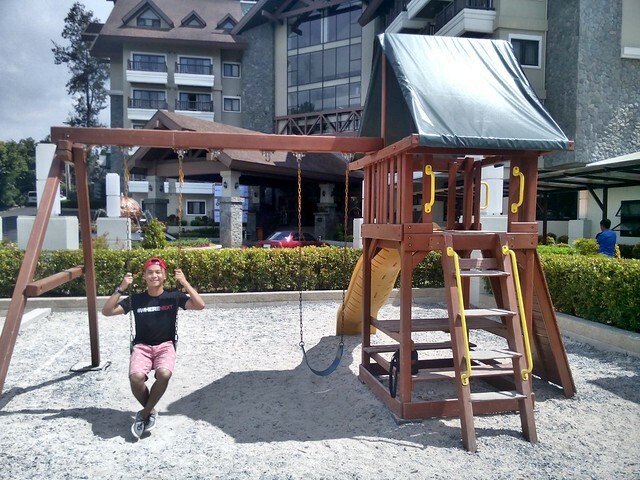 PS: I will post more of my Baguio Summer Adventure, as one article will be way too lengthy if I stuff it all here. I had lived in Baguio for a decade but even I get surprised of its hidden treasures.The place you stayed in looks cozy.I love the pictures! Hopefully I get to visit Baguio this summer. This journey is so uplifting. All those dishes! I've watched the video too and what a nice music, it's so happy and energetic. I love this trip so much, I loved to see how the world is on the other side and you just took me there. 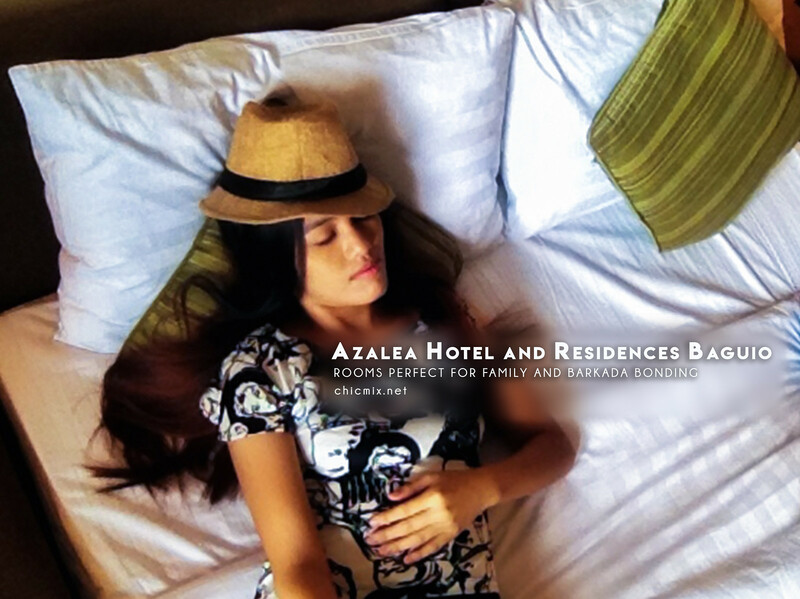 Amazing post about the Azalea Hotels and Residences! Azalea sure did know how to treat guests like kings and queens. Its a nice option considering that they have the tawad hotline, top. This is so lovely! I am glad you went back to try again and give it a fresh start. Your images are beautiful. And I love their philosophy of art, you can make it out of anything, inspired by anything!! As always, I enjoy seeing photos of Baguio. By the way, it occurred to me Azalea really is much like condo living. Anyway, for anyone who has never been to Baguio, there are so many places to see. I will be back there next year I hope. This place was beautiful! The rooms were huge and like little apartments instead of just casual place to stay. What really got me was the food! I mean, every single plate of food looked amazing. I love when you are traveling and there are places around that you can go explore like this town with all of the stores and cafes. It looked like a fun trip! This shows me that I still have many things to explore in Baguio. I should really plan to go back there soon. I'm so impressed about your finds, I mean, I didn't even know about that Ili-Likha Artist Village. It is so cool! I wanna go there. 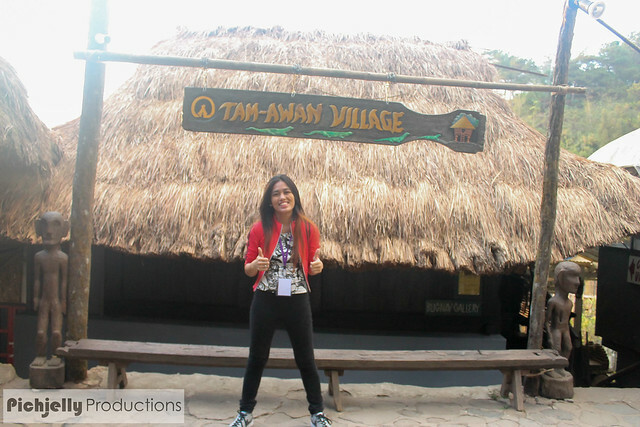 Also in Tam-Awan village, I've never been there too. The summer capital of the Philippines! I just read that the temperature can reach up to 51-degree C and Baguio is a great escape. All your food photos are enough for me for this visit. You explored a lot, girl! More safe travels! I visited Baguio many times already but I haven't been to the places you posted here. What I love in the place is the weather especially when it is sunny yet cold! Hope to visit the Baguio again soonest with my daughter and hubby. Baguio was one of my first out-of-town trips, and to this day it remains one of my most cherished memories. We went to Tam-Awan Village but this is the first time I've heard of Ili-Likha Artist Village. It's like every time I read about Baguio, there's a new artsy cafe or cultural spots I haven't heard of before. Hmm.. maybe it's time to go back? 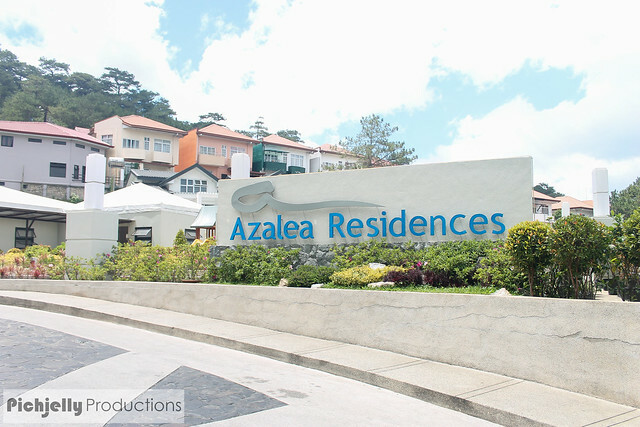 Azalea Residences indeed looks like a holiday heaven. The rooms look nice and so do the meals served. The wooded details look very authentic. And of course you look very happy there so I guess this place is definitely great. We went up to Baguio a couple of times last year-after probably a decade of not visiting-and we absolutely had no clue what to do! So we ended up eating in the same old restaurants and checking out the same old stores. This blog post is pretty interesting because I haven't been to any of the places you mentioned. I'm especially interested in the Artist's village. Now I'm raring to visit again. Thanks so much! You seem to have had a lot of fun in just one day. I would love to visit those artsy villages, they look so interesting. I like the "painting" with the two guns, I wonder what is the story behind it. The food also looks delicious!